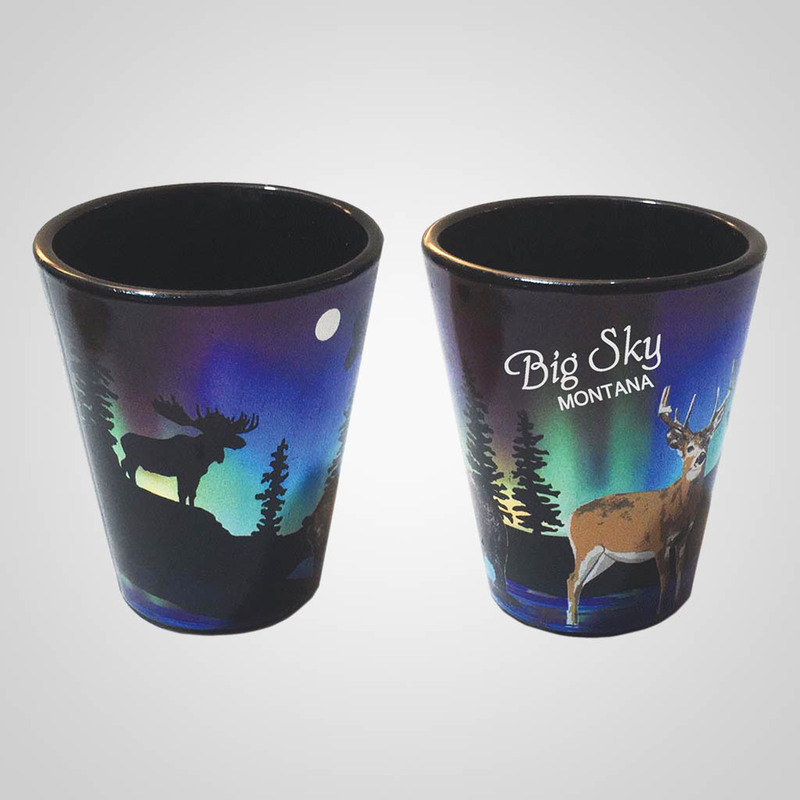 Black shot glass w/ Deer. Tree's and Northern Lights in the background. 2" X 2.5". Name drop.Pad Print.